A couple more Mission pieces! | Andrew Sutton, R.G.D. A couple more Mission pieces! I had found these in an old “portfolio” folder and thought I’d post them for good measure. 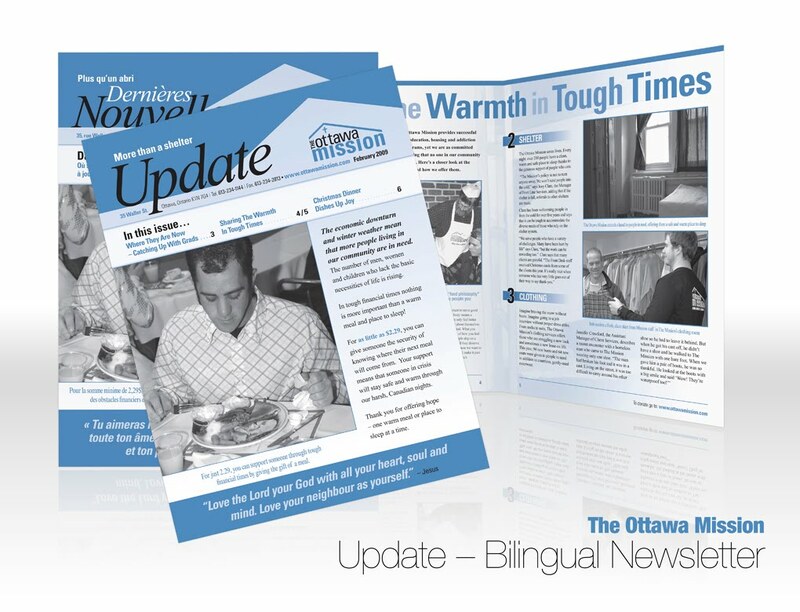 This entry was posted in g33kDESIGN and tagged Bilingual, Charity, Graphic Design, Newsletter, Ottawa Mission by Andrew. Bookmark the permalink.